This is my child’s first time away from home. Help! We completely understand! Every year we have campers who are away from home for the first time. Our staff are there to help make your child’s first time away at ‘sleepover camp’ a successful one. It begins right from the moment your child meets one of the cabin counsellors. Plus, we have a team of supervisors and Directors with many years of experience in helping campers adjust to life at camp. We offer an email service through “Bunk1” where you have the opportunity to email your child as often as you’d like during their stay at camp. We download and deliver all emails every day. Bunk1 information will be sent to all registered camper families several weeks prior to camp. Regular mail also works but letters should be sent several days prior to the beginning of camp to: (Campers Name) c/o National Music Camp P.O. Box 850, Orillia, Ontario L3V 6K8. Can my camper call me during camp? Our camp policy is that campers do not have access to phones. Cell phones are NOT allowed. Please do not leave a cell phone with your child. They will be held safely in the Camp Office if found during the week. We want to preserve the camp feel and support the campers’ full engagement in the camp activities. If you have a question or concern regarding your child during camp, you are welcome to contact a camp director at 705-325-2285. My child is vegetarian/lactose-intolerant/celiac— are there alternatives? Yes, we can manage many special diets. Check our Food page. We have a strict NO NUTS policy throughout camp. If your child requires an unusually special diet, please contact Tan at our summer camp office prior to your child attending camp, 705-325-2285. Our newly renovated cabins all have electricity, bathrooms and showers, lots of shelving space and are supervised by 2-4 recreation and music staff. See Staff information for additional details. What if the music is too hard or too easy for my child? We have groups at different levels. Your child will be placed in a setting where s/he will feel challenged but not overwhelmed. Our music staff are there to help your child in any way they can. Does my child have to have some background to choose Beginning Band, Strings or Guitar? 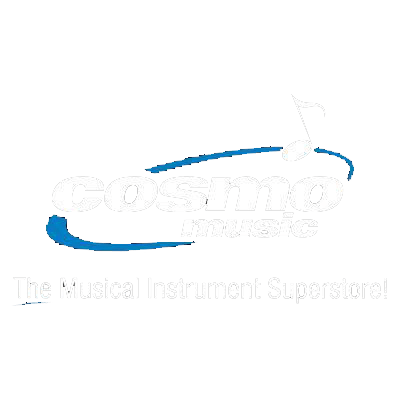 Beginning Instruments means exactly that….for beginners. No experience at all. Campers choose an instrument they want to learn for the week. We have a rental program so your child can have use of a good instrument during camp. They choose the instrument before getting to camp. My child would like to try a couple of different programs. Can she/he do this? Unfortunately not. Campers choose one program for their time at camp. Some campers have registered for one program, but come to camp and want to switch. This is possible if there is room in that program and if the parents approve. Campers cannot do more than one program at a time. Campers in Grade 7 and 8 may want to stay for both weeks and do one program at Junior camp and another at Senior. My child is going into Grade 8/9. Can they stay for both weeks? Yes, with some conditions. It’s a GREAT way to really intensify the musical experience and prepare them for the move to High School. 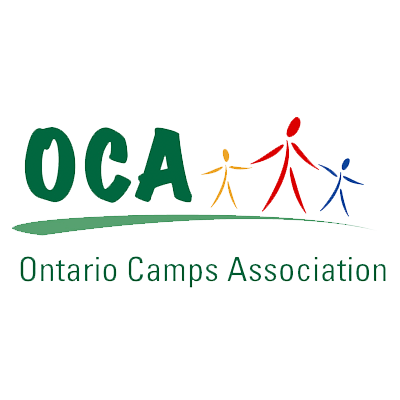 Campers going into Grade 9 may stay for both weeks in any program. For instance, they may do Jr. Jazz at Jr. Division and Jazz at Senior Division, or Beginning Instruments at Junior Division and play their regular instrument at Senior. Campers going into Grade 8 have a couple of options. We offer Jazz for grade 7 & 8 students at our Senior Division. Note: Campers attending both the Jr and Sr camp will be required to depart from camp after the concert on Saturday, August 27th and return to camp the following morning for the start of Sr camp. The Mandatory Rental Programme (MRP) is for all Guitar, Bass, Keyboard, Vocal and Drum campers in all of our Jazz programs. This fee covers rental of electronic equipment (keyboards, amps, microphones) and drum sets. This means that campers only have to carry their instrument, a mic or sticks from location to location and reduces damage to and loss of campers’ personal instruments. Does my child need to bring an instrument to camp? What about a music stand? Your child is expected to bring an instrument to camp—either their own or one from their school if they are in a school music program. Many schools are okay with lending students instruments over the summer months. For Beginning Instrument and Guitar campers, you can take advantage of our instrument rental program for a nominal fee. Campers are expected to bring their own music stand. A sturdy, collapsible stand is recommended and… put your campers NAME on it. What do Music Theatre campers need to bring? Music Theatre campers do not need to bring a music stand to camp. No equipment is required. Information about the theme and music for their show will be communicated with all MT campers several weeks prior to camp. Junior Camp: We place campers in the band or orchestra based on their years of playing and whether they have had private lessons. We then make adjustments if necessary. Music Theatre campers learn part of one of the dances on the first afternoon and are placed into groups based on their abilities there. Guitar campers are divided into smaller groups within the larger guitar program. Senior Camp: All campers have placement hearings for their program and placed in the appropriate group. If any camper is feeling overwhelmed or not challenged by their assigned group, they are encouraged to speak with their conductor who will make any necessary adjustments. Do I get to see my child perform? Yes! One of the most exciting aspects of NMC is seeing your child(ren) perform on the final day of camp (Concert Day – Jr. Camp: Saturday, August 25th, 2018 and Sr. Camp: Sunday, September 2nd). Parents are often blown away by the caliber of performance and the amount their child(ren) has learned in their one week at NMC. Details of concert day will be sent to you prior to camp.